Wild Rose students truck ride home from picnic at Harvey County Park West. 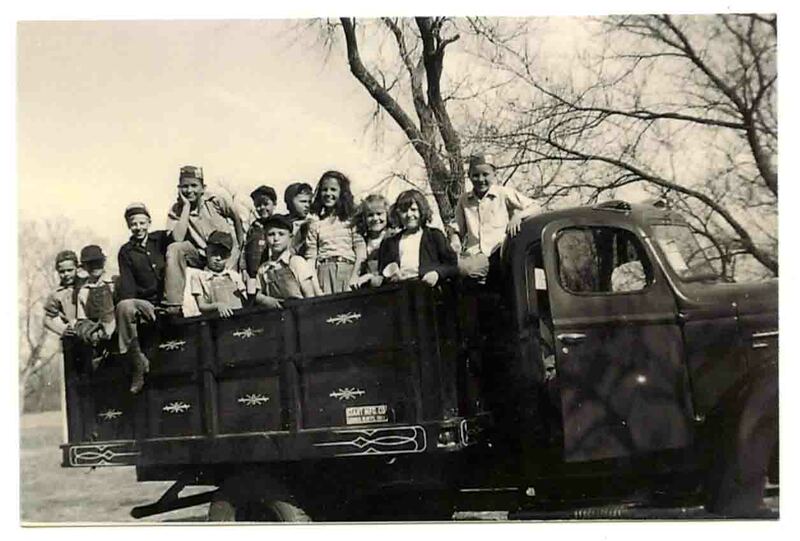 Left to right: Carl Epp, Henry Lane Neufeld, James Epp, Larry Flickinger, Leroy Koehn, Leon Epp, Gary Koehn, unknown, Greta Epp, Mary Jane Neufeld, Virginia Neufeld, and Johnny Flickinger. 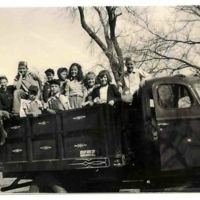 “Wild Rose School Students,” Digital Halstead, accessed April 20, 2019, https://halstead.digitalsckls.info/item/76.